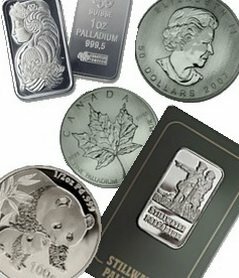 What is beter to have now, cash or precious metals? Metals of course! However, not everyone can think about the future now. Some people need the cash to survive. The ideal for them would be to increase that cash, THEN take that money to use for palladium or another precious metal and hold it into the future. Maybe consider converting some of ones paper fiat money into at least base metal money. A pre-1982 U.S. penny is worth well over its face value due to its copper/zinc melt value. The U.S. nickel (25% nickel and 75% copper) has a current melt value close to its face value. (facts taken from www.coinflation) At the very least you would still have your face value if you should ever need to haul it all back to the bank.